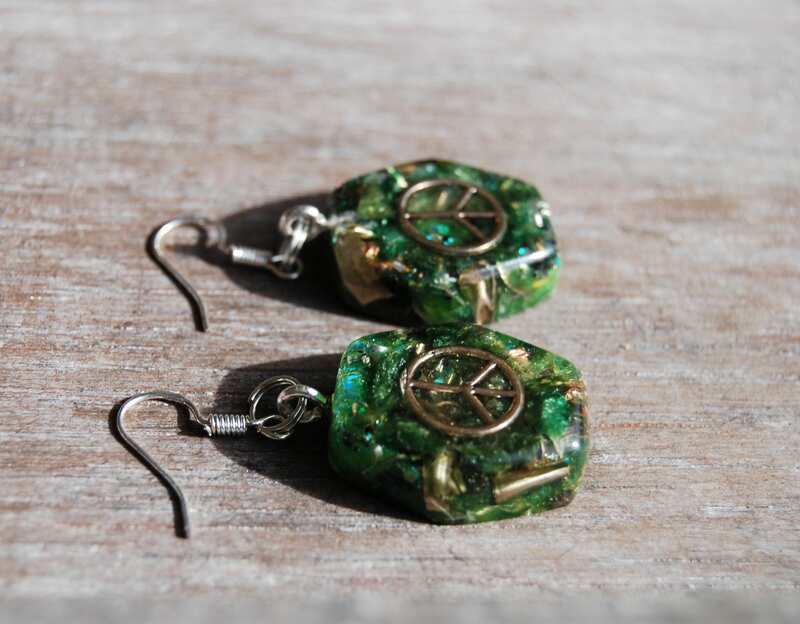 These unique Orgonite® earrings are one of a kind and consist of metal (aluminium, brass, bronze and copper) shavings, durable resin, Fuchsite and clear Quartz. 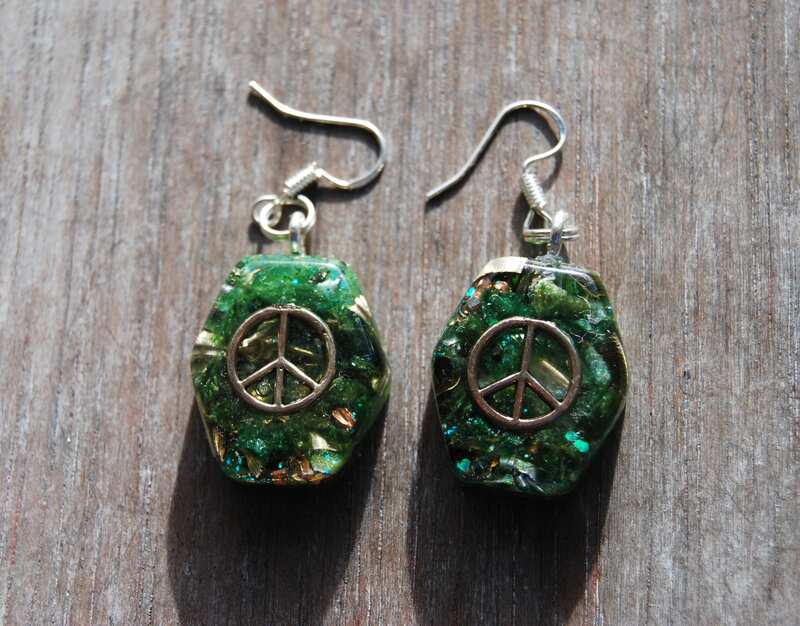 Both have a Peace symbol. The findings are 925 Sterling silver. 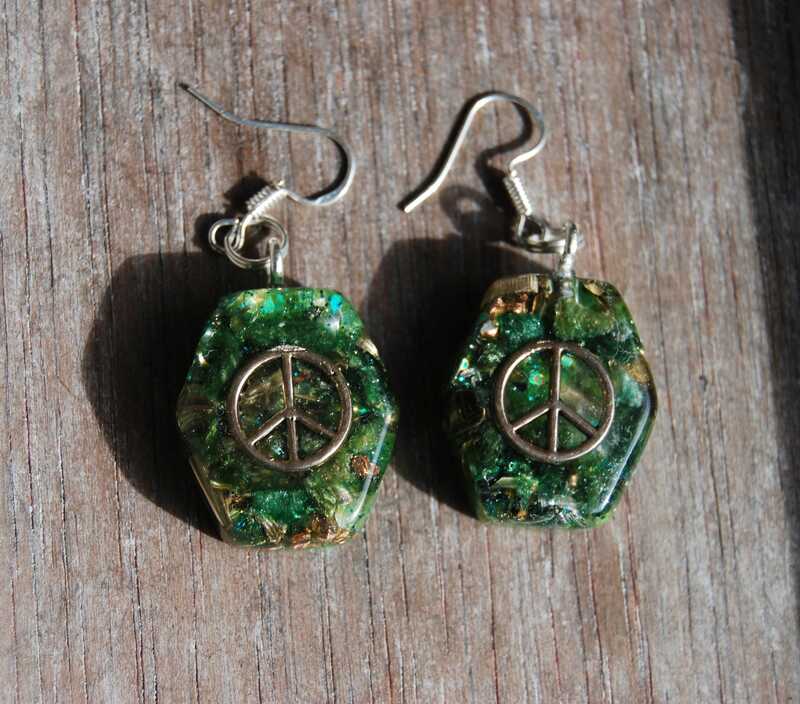 Fuchsite is the green variety of muscovite and carries the properties of muscovite - inspiration, problem solving, intuition, etc. As a heart chakra stone, it links the intellect of the mind with the heart. 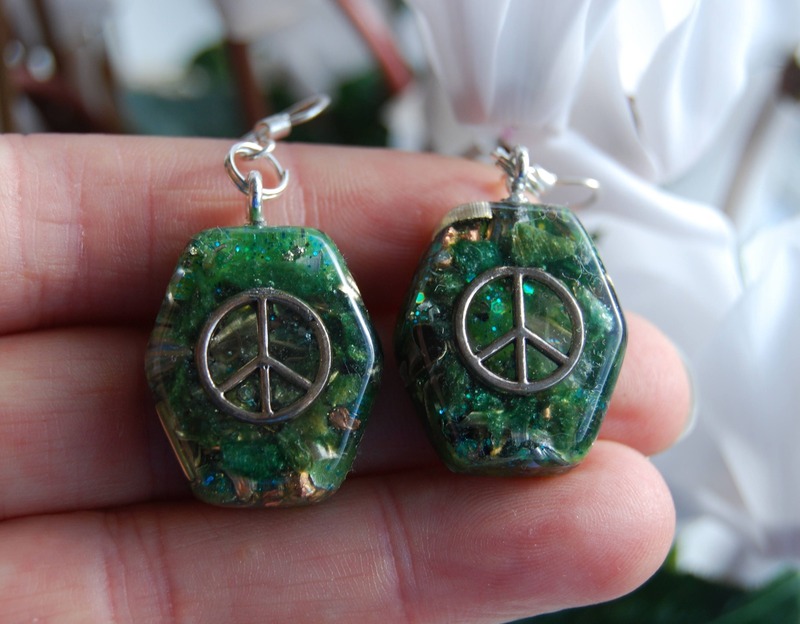 Fuchsite allows one to use the gifts of the mind, guided by the heart. When used by healers, it amplifies the energies of crystals and speeds up the healing process. 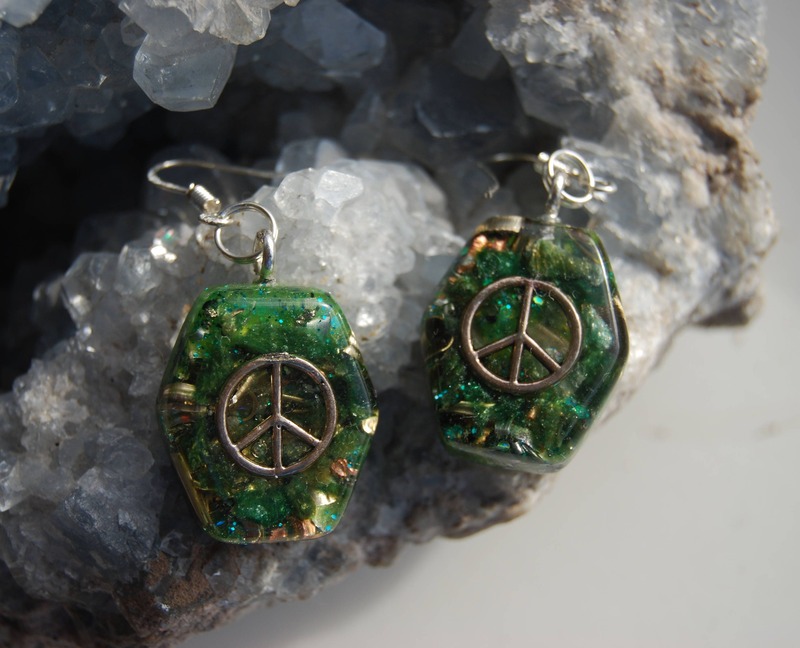 Fuchsite is closely related to the kingdoms of the Devas and the Spirits of nature. 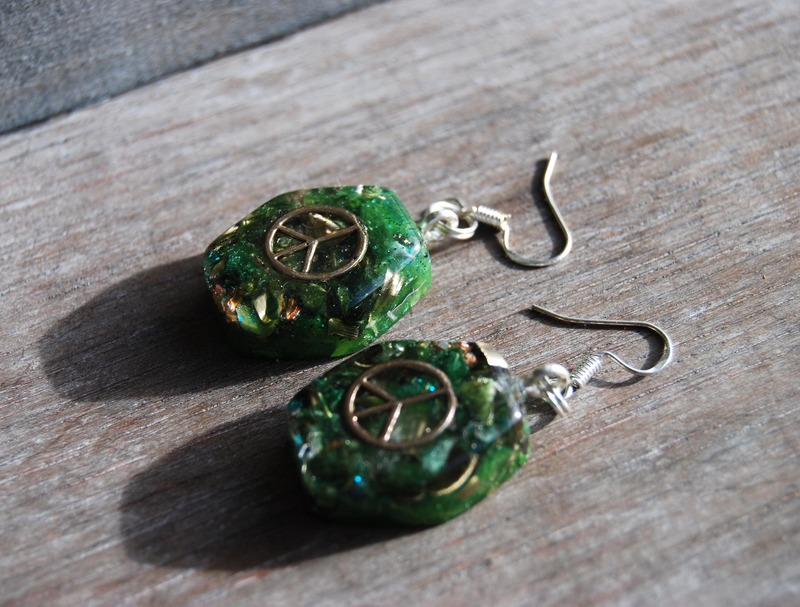 One earring pendant measures 2 cm (0.8 inch) from top to bottom and they have been hand sanded through 7 sets of fine polishing paper so it is shiney and silky smooth. It is created with loving intent to transform people’s lives for the better. FREE Shipping ! Will be shipped with Priority shipping and Trackingnr.